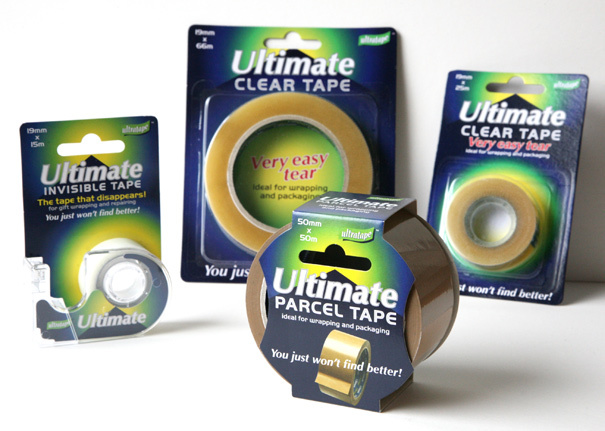 Probably the best tapes you can buy – the Ultimate range of tapes by Ultratape! The packs shown below are just the first of a number of top quality products in this range that were launched to the trade at last month’s Spring Fair International in Birmingham and were extremely well received by buyers nationwide. 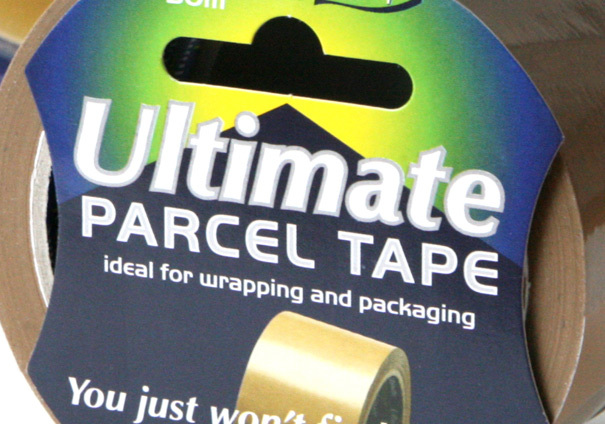 These constitute the latest design project carried out with Ultratape during our continuous relationship since my first involvement with the company back in the early 1990s, when I designed the Ultratape logo, subsequent brochure, packaging and signage. To date, there have been hundreds of packs designed, numerous brochures and several trade show exhibitions. Over the last six months, it has been a pleasure working with the Ultratape team in conceiving the Ultimate brand name, the design and development of the new identity, the packaging and the exhibition graphics for Birmingham.